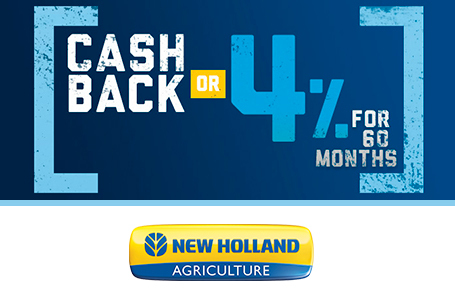 The Very Definition of Value: Whether you maintain a food plot on the nights and weekends, tend to a small herd of livestock, or work in professional landscaping, you owe it to yourself to explore New Holland's family of WORKMASTER compact tractors. 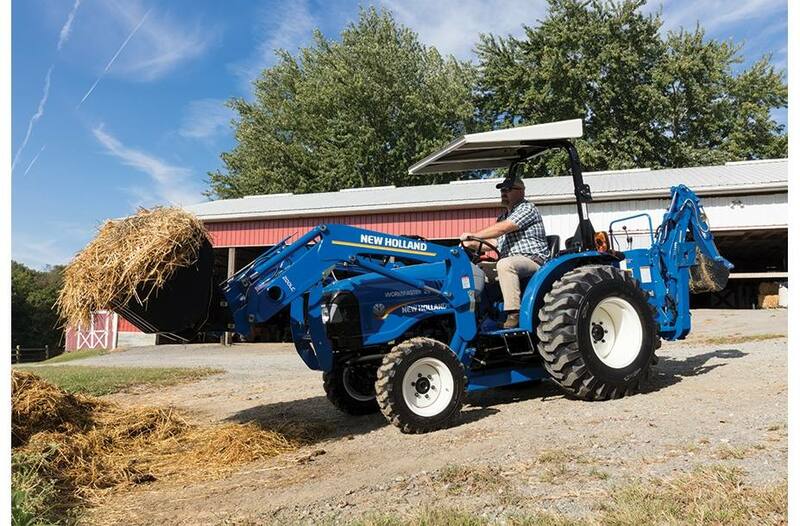 Known for delivering outstanding value for their performance, these reliable, powerful, and easy-to-operator tractors will help you tackle your to-do list while being easy on your wallet. Tough On Jobs, Easy On The Wallet: You get a combination of top performance and top value when you choose a WORKMASTER compact tractor. They are built tough, are easy to operate , and provide reliable power day in and day out. 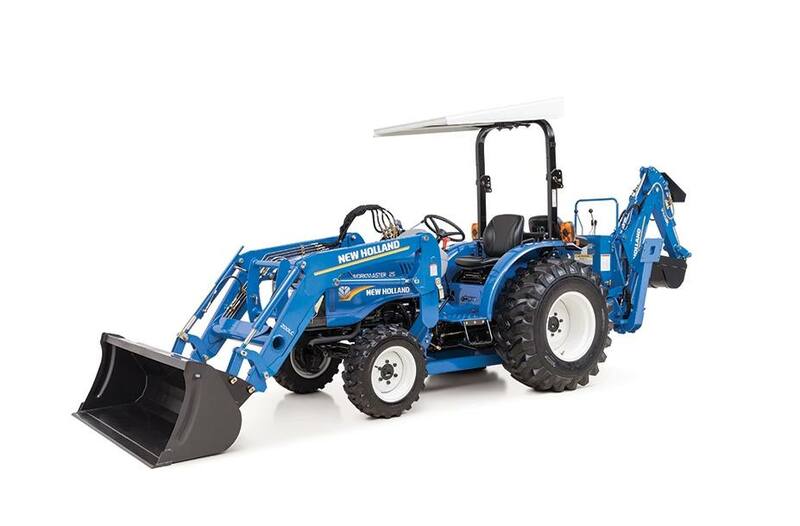 If you are looking for the best compact tractor for your hard-earned dollar, WORKMASTER compact tractors are for you. Simple and Convenient Operation: WORKMASTER compact tractors are free from clutter and easy to operate. Choose 25, 35 or 40 horsepower, a gear or hydrostatic transmission. Either way, you can be sure you're getting the absolute best value for your dollar. A Wide Selection of Implements and Attachments: WORKMASTER tractors are an ideal compact farm tractor, landscape tractor or compact tractor. 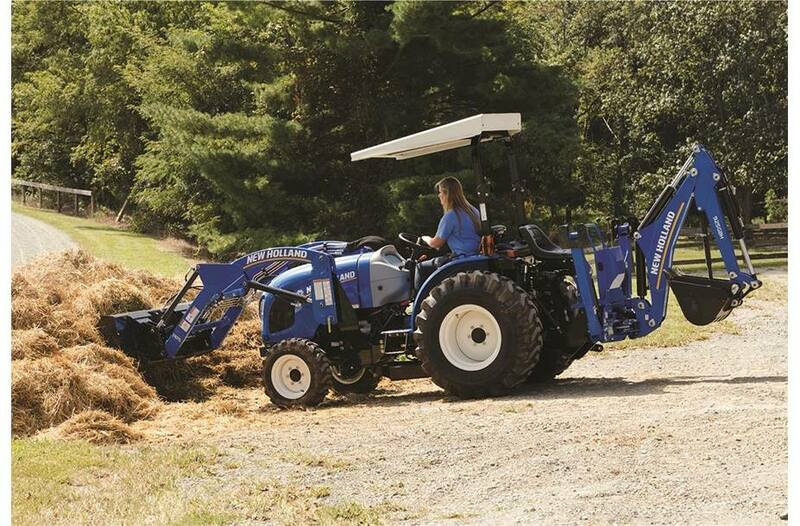 New Holland offers a long list of attachments, implements and accessories to expand the versatility of your WORKMASTER tractor to make them the best for the money. Add a loader, rotary cutter, disc harrow or backhoe to take care of your land, yard or job site. 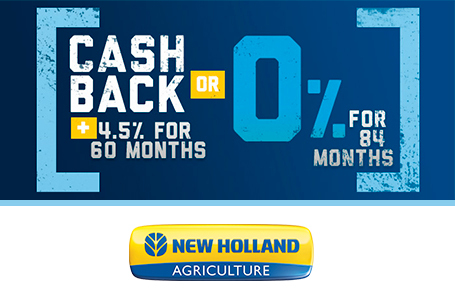 If you need to plow snow, a New Holland snow blade or snow blower can help get the job done. 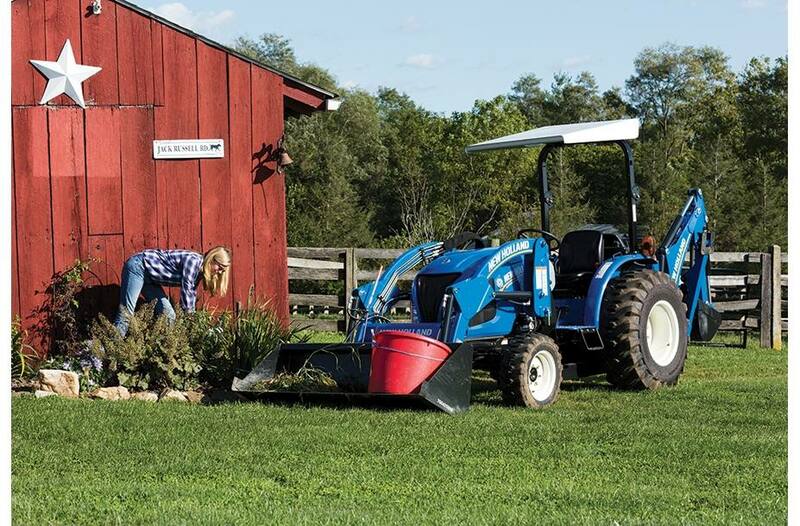 Implements enhance your flexibility, and add to the reasons why WORKMASTER compact and utility tractors are the best for the money. Wield The Power That Tames Tough Jobs: You can rely on your WORKMASTER tractor for years of dependable, trouble-free performance. Made To Last: Your WORKMASTER compact might be a small tractor, but it has big tractor backbone with heavy castings for the engine, transmission, and rear axles. A cast iron block, heavy-duty internal components, and proven technology mean you can expect years of reliability from your WORKMASTER. Fuel-Saving Power: Turbocharged, large-displacement three-cylinder engines deliver improved power and torque, as well as quiet operation. These 35- and 40-horsepower engines are more fuel efficient too, featuring a common rail, direct-injected, electronic fuel management system. Premium Engine Performance: WORKMASTER tractors are designed with engine features that make you more productive. Engine Speed Management (on WORKMASTER 35 and 40) makes it easy to maintain a constant engine speed during PTO operations. Just set the engine speed your task requires and return to that setting at the touch of a button. 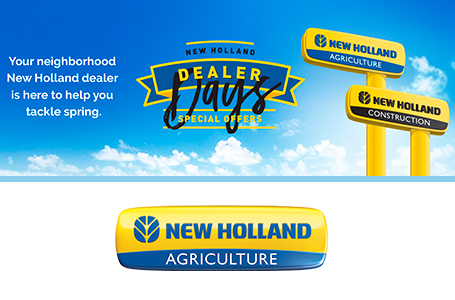 More Speed Choices: New Holland gives you a choice of either a 12 x 12 synchronized shuttle or a hydrostatic transmission on your WORKMASTER compact tractor. Whichever option you choose, you’ll find the working speeds you need to get the job done. Option 1: 12 x 12 Sync Shuttle Gear Transmission: The smooth-shifting 12x12 Synchronized Shuttle Shift (SSS) transmission offers more speed options than found on competitive-brand tractors. 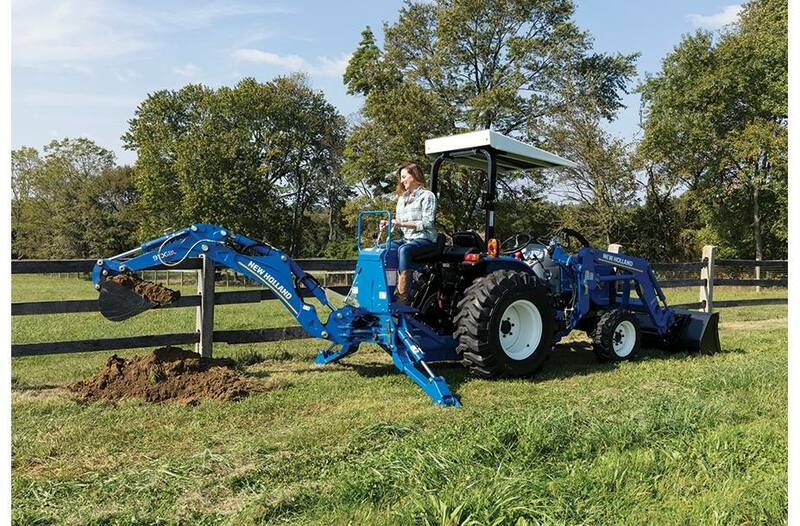 In addition, the shuttle is conveniently located directly under the steering wheel, making it simple to change direction using your left hand, and ideal for loader work. Option 2: Hydrostatic Transmission: For infinitely variable speed, choose the convenience of the three-range, two-pedal, hydrostatic transmission. Two foot pedals—one for forward, one for reverse—make it easy, even for a novice operator to mow, load or clear snow. Traction Enhancing Four-Wheel Drive (4WD): You’ll appreciate the performance of these 4x4 compact tractors. 4WD dramatically improves your productivity in wet, slippery and sandy conditions by providing additional traction and improving drawbar pull. 4WD comes standard on all WORKMASTER™ compact tractors. Reporting For Heavier Duty: You’ll get superior pulling power, maximum dependability when operating heavy implements, and peak fuel efficiency in slippery or sandy conditions courtesy of the heavy-duty cast-iron rear axle. Extra Traction On Demand: It’s reassuring to have extra traction when you need it. Simply push down on the differential lock heel pedal to lock both rear wheels together for additional traction in slippery conditions. Worry-Free Wet Disc Brakes: The best things in life are maintenance free. Smooth-applying wet disc brakes are sealed from dust, dirt and water for longer life. 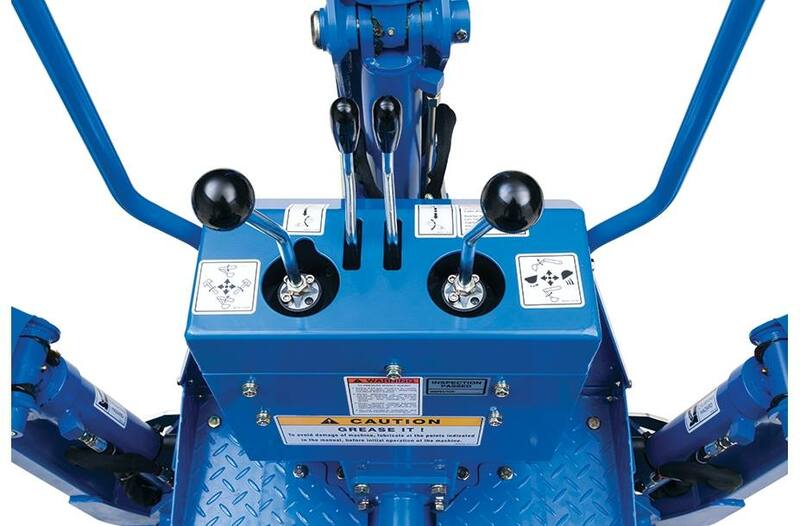 Whether equipped with the gear or hydrostatic transmission, WORKMASTER tractors provide independent left and right brake pedals to for assisted turning. Independent Power Take Off (PTO): Every WORKMASTER compact tractor comes standards with 540 RPM rear PTO power. That means you can power 3-point hitch implements like rotary tillers or rotary cutters with ease. Mid-or front PTO implements are also a great choice thanks to the 2000 RPM mid-PTO power, which is standard on WORKMASTERS equipped with the 3-range hydrostatic transmission and optional on those equipped with the gear transmission. 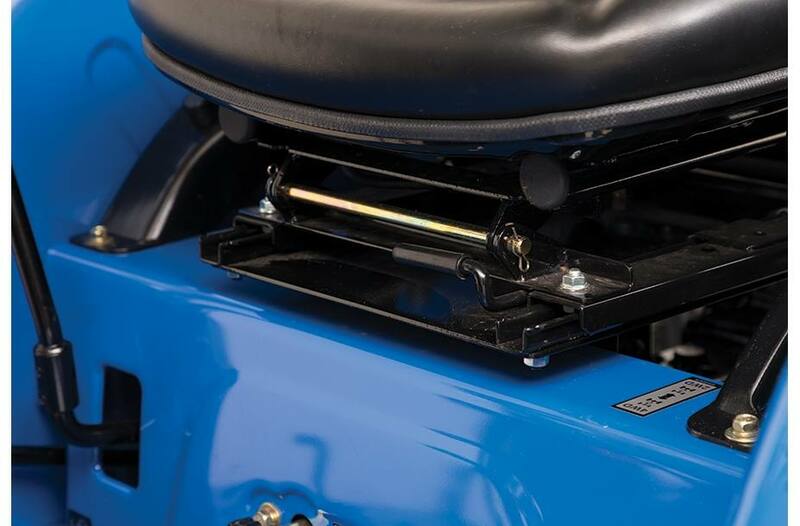 The WORKMASTER PTO is fully independent, which means that you can engage or disengage the PTO while stopped or on the move, and the multi-plate wet disc design ensures years of trouble-free operation. Simple To Use: With WORKMASTER tractors, using the PTO is quick, simple, and most importantly, it is safe. The electro-hydraulically engaged PTO is exactly what you’ll find on our larger agricultural tractors. It uses a push and turn, color-coded knob, located to the right of the steering wheel to engage or disengage. Heavy Cast Iron Design and Big Hydraulic Power - Big Hydraulic Flow Means Big Lifting Power: High-capacity hydraulics deliver a dedicated flow of 8.2 gallons per minute (gpm), 7.9 gpm for the WORKMASTER 25, and a three-point-hitch lift capacity of 1,808 pounds. This robust system allows you to handle a wide variety of implements to make the most of your working time. A separate steering pump ensures responsive steering, no matter what other hydraulic demands are made on the tractor. Adapt To More Attachments: You can never have too many attachment options. A two-position, extendable drawbar comes standard. Plus, standard telescopic stabilizers and fixed link ends make hookup easy for three-point-mounted implements. Designed For Operator Comfort: No other small tractor manufacturer packs more ergonomic features into their “value” tractors than New Holland. Step onto the spacious operator platform, and you’ll appreciate the lack of clutter and the simple, straightforward instrumentation. Sit down and you’ll notice even more advantages. 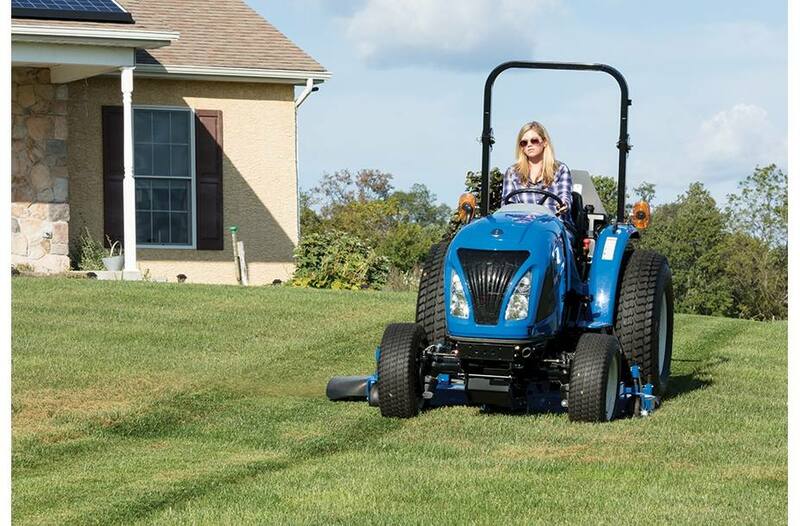 The Best View Is Free of Obstructions: One thing you’ll notice and appreciate right away is the unobstructed view offered by our WORKMASTER Series tractors. That’s because we put the muffler under the hood, and not in your line of sight as on other tractors. Premium Seating with No Tripping: A well-padded, contoured seat glides on a smooth track to place you at the right spot to maximize your comfort and visibility. And since the transmission controls are on the dash and fenders instead of the floor, the deck is wide open so that you can get on and off more easily. Clear, Easy To Understand Instrumentation: An instrumental part of safe, productive tractor operation is being informed. WORKMASTER has that covered with a modern, informative instrument cluster. Designed with Safety and Storage In Mind: The Roll Over Protection System (ROPS) helps protect you if the machine tips over. 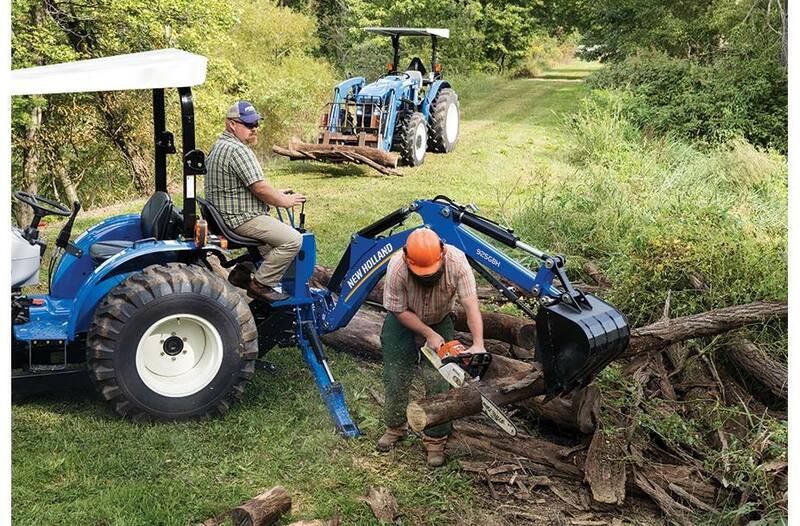 All WORKMASTER Compact Tractors have a foldable ROPS so you can drive under trees and lower overhangs, and easily store the tractor in low-clearance areas. Outstanding Versatility, Strength and Visibility: Whether you choose a WORKMASTER 25 and 200LC loader combination or a WORKMASTER 35/40 with 140TL Loader you will get performance matched capability. These loaders are designed specifically to the tractor's capability ensuring maximum performance. If you need to move gravel, mulch, plants, dirt or hay as quickly as possible WORKMASTER has you covered. Removing The Hurdles To Routine Maintenance: New Holland helps save time and money when it comes to maintenance. WORKMASTER tractors offer convenient access to services points, making fueling and performing routine maintenance quick and easy. Access Doesn't Get Any Easier: Even when a loader or front blade is attached it’s easy to get under the hood of your WORKMASTER. Just open the hood, which smoothly raises on a gas cylinder, to access the engine, radiator, air cleaner, power-steering reservoir and battery. Access Doesn't Get Any Easier: Fuel tank is conveniently placed behind the seat for easy fill and without risk of splashing diesel on the hood. We Have You Covered: WORKMASTER compact tractors are covered by the complimentary Boomer Guard 6 limited warranty. It provides 6 years of worry-free operation, including 2 years of bumper-to-bumper coverage, plus an extra 4 years of powertrain protection. Remote Valves: 1 or 2 Opt.